The night that Ronja is born, a bolt of lightning split her father’s castle in two, creating a massive chasm known as Hell’s Gap. Ronja is the daughter of Mattis, a professional robber that terrorises travellers in the nearby forest while competing with a rival clan of robbers led by Borka. While Ronja grows up surrounded by the love and attention of her parents and Mattis’ robbers, she later struggles to come to terms with who her father is and the work he does. Things get even more complicated when Ronja befriends Birk, the son of Borka, who has taken over the other half of Mattis’ castle separated by Hell’s Gap. The two try to keep this a friendship a secret from their families, exploring the forest and learning about its fascinating and dangerous residents while tensions between the two clans intensify. 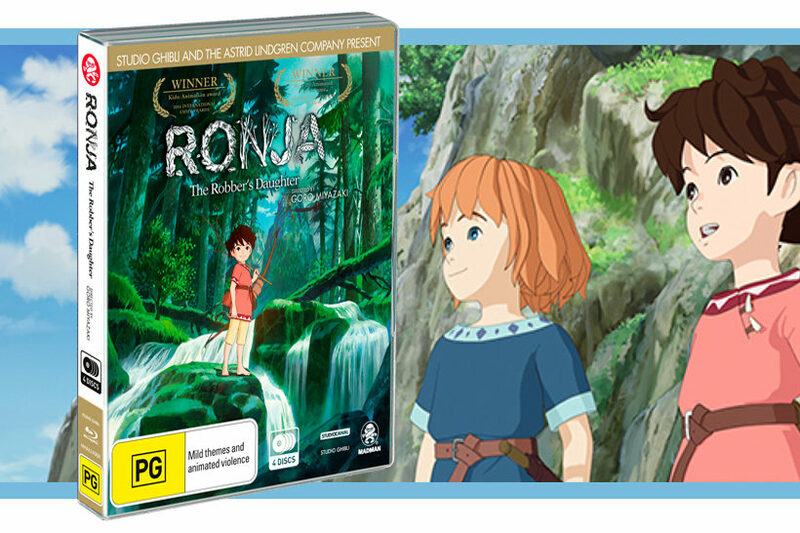 Ronja, the Robber’s Daughter is a series based on the novel by Astrid Lindgren, re-packaged with Studio Ghibli charm and visuals from Polygon Pictures that have been stylised to fit the Ghibli aesthetic. 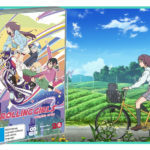 Directed by Goro Miyazaki, the series embodies that classic Studio Ghibli charm that revels in the love of the natural world and its fantastical elements, and sometimes even contains that wonderful sense of stillness and time that is a staple of Ghibli works. Ronja, the Robber’s Daughter also does some interesting things with tone, by not only embracing the fantastical that the studio made its name on, but by containing a taste of darkness also present in many Studio Ghibli works. The usual gratification of nature is present throughout the series as Ronja and Birk revel in all the forest has to offer. However, the dangers of the forest are just as present, as all manner of creatures live in the forest around Mattis’ fort, including groups of eerie Gray Dwarfs and aggressive Harpies. The series generally treats these creatures as tangible threats – the cinematography goes out of its way to depict the Harpies in particular as menacing with extended shots of their unnerving faces and some scenes are shot as if they are straight out of a horror film. 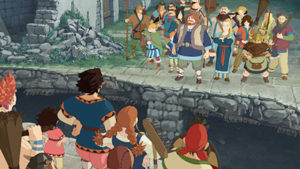 Because of this tangible sense of danger in the series Ronja, the Robber’s Daughter is sort of a fascinating exercise in the depiction of children and how they can be resourceful and survive hardships under their own power. 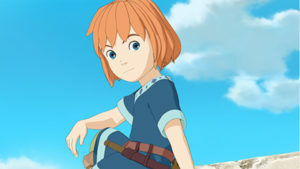 Ronja and Birk are young children, but they are shown to be resourceful, capable and able to handle situations on their own while still behaving like realistic children who are prone to nonsense and pettiness. Ronja in particular is depicted as having unrealistic expectations and a taste for the fantastical that shows her naivety, but her abilities as a person are respected by the narrative. It’s not your standard children’s series where child characters are put into situations they can’t handle and are bailed out by their parents in order to learn an arbitrary lesson. Adults do help Ronja, but instead of endlessly reprimanding her, she is given the tools she needs to solve her problems. In one of the early episodes Ronja is out late in the forest and Mattis has to save her. Instead of lecturing her on the dangers of not biding by her curfew, Mattis talks to Ronja and gives her the skills she needs to survive the next time she’s in that kind of situation. Arguably Mattis should have given this advice to Ronja before she went out into the forest, but the distinction is still there. Because of this depiction, Ronja, the Robber’s Daughter feels intelligent and a tad more subtle than some other children’s shows. Ronja and Birk are resourceful, and the narrative respects this resourcefulness, which is an interesting choice for a show aimed at children and families. Ronja, the Robber’s Daughter isn’t really the type of show that leans too heavily on the “one moral per episode” format. 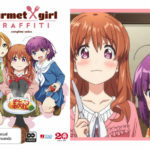 Aside from a few of the early episodes and some blatant life lessons stated by the narrator of the show, the series is more content to play the long con and tell a longer narrative with overarching themes. A good example of this is that at first, Ronja hates Birk because he is from the Borka clan. 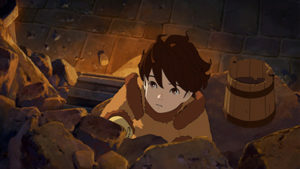 Rather than there being a single episode where Ronja learns not to judge a book by its cover, there are several episodes where she and Birk meet in different situations and help each other despite their differences. Eventually, they develop a really special friendship which feels real because it developed over the course of multiple episodes and during some really intense situations. There’s a great episode where the two find themselves lost in the forest when mist descends, and Ronja helps Birk despite her misgivings towards him for being Birka’s son. The mist hides the Unearthly Ones, who sing songs to lure people to their side and there’s this fantastic scene where Ronja fights Birk to try and follow the song, while he tries to stop her. Because these stories develop over long periods of time, it makes the emotional stakes of Ronja, the Robber’s Daughter resonate more powerfully. Although Ronja and Birk feel like real, natural characters, others are less so. Most characters in the series are fine, although aside from the two kids the only other standout for me was Ronja’s mother Lovis for her no-nonsense attitude and capable nature. Ronja’s father Mattis was perhaps the most confusing character. At one point it is heavily, if not outright implied, that Mattis has beaten Birk. It is a gut-wrenching scene when it is revealed, and the narrative never really absolves Mattis of this behaviour and the treatment of his family during this particular moment. What’s worse is that it feels like the show expects the audience to feel sorry for him despite his treatment of Birk and his later rejection of Ronja. For me, the redemption arc for Mattis that follows is too weak too late, and I was baffled by how there was so little attempt to truly absolve him before the narrative said he should be forgiven. Sub lovers will need to embrace the English dub because that’s all there is, but it’s honestly not that hard to do. Teresa Gallagher and Kelly Adams do a good job as Ronja and Birk, and Gillian Anderson gives a great performance as the narrator. 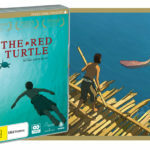 The final disc also includes some special features, the most interesting of which are several featurettes on the making of Ronja, the Robber’s Daughter and an interview with Goro Miyazaki. 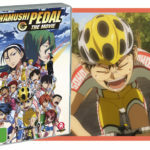 The DVD jacket is also reversible, with what looks like concept art on one side. There is also concept art for the series in the credits at the end of each episode which is a neat addition, but a cruel reminder of the wonderful hand drawn animation style Ghibli is known for. 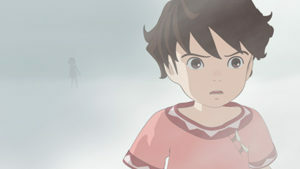 That being said, the 3D style deserves some praise too – the animation mimics expressions and movements that are extremely reminiscent of the usual hand drawn Studio Ghibli style so it was neat seeing it replicated in 3D animation and breathe some life into it. Ajin: Demi-Human was another Polygon Pictures work that struggled with this, so it’s good to see some experimentation with the character models that paid off. I enjoyed Ronja, the Robber’s Daughter. 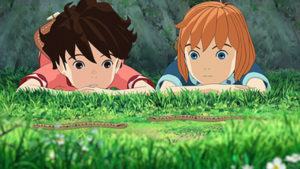 I’m not a child so I cannot attest to attitudes of the target audience, but I appreciated it even though it felt like a cautious experiment from Studio Ghibli that played it safe in depicting a familiar world, because it tried something different with visuals and storytelling. I did find myself thinking that this would make a fantastic hand drawn animated film and as soon as that thought crossed my mind it was stuck there permanently. 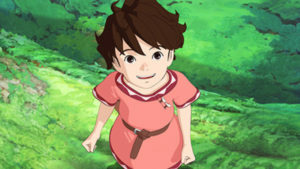 Aside from some character moments that didn’t resonate with me I had a good time with Ronja, the Robber’s Daughter, and I would be interested in seeing more television series produced by Ghibli.